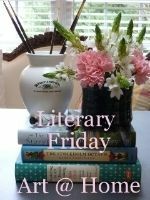 Happy Literary Friday, My Lovelies!!! I hope y'all have fantastic Labor Day Weekend plans with your friends and family. I hope to do a little art, boating, and reading! 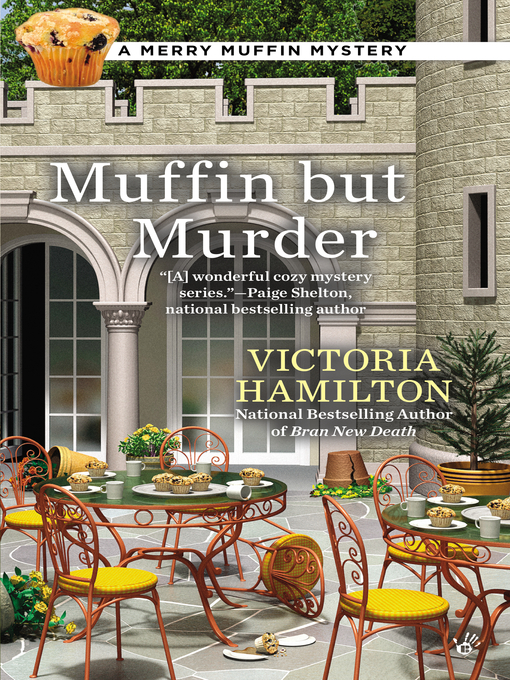 This week I read the first two Merry Muffin mysteries. A couple of weeks ago I read the third one, Death of an English Muffin. You may read my review here. 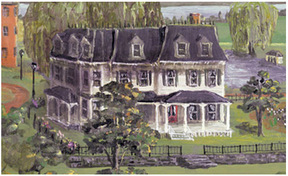 Merry Wynter didn’t know a lot about her family until she finally made her way to take possession of her inherited castle near the town of Autumn Vale, in upstate New York. Though she intended to do a quick fix and put it back on the market, she realizes if she is ever going to find out her family history on the Wynter side, this is the place to do it. Baking muffins, investigating murders, making friends... and enemies... among the quirky residents of Autumn Vale, keeps Merry busy, and local Sheriff Virgil Grace keeps her heart rate high. Though the widowed Merry still carries a torch in her heart for her late husband, photographer Miguel Paradiso, maybe there is enough room there for a new flame? With her wonderful friends Pish Lincoln and Shilo Dinnegan, who have joined her at the castle, Merry is starting to find it hard to imagine leaving the ancestral home of her Wynter ancesters. If folks wouldn't keep getting murdered, it would be pretty much perfect! The first in the series, Bran New Death, introduces us to Merry and her friends. I absolutely adore Merry. She's a very well-developed character, and I feel like I know her. She's the type of girl I like to befriend, and I really want her to find a way to stay in Autumn Vale in her lovely castle. But first she needs to figure out who's vandalizing her property by digging deep holes all over the lawn. Late one night, she finds a body in the bottom of one of the holes, and the victim is the very person she suspects is the vandal! The very handsome Sheriff Virgil Grace is on the case, and he becomes a little annoyed with Merry because of her unsanctioned sleuthing, yet at the same time, he's worried for her as the body count rises on her estate. Unfortunately the murder mysteries leave little time for Merry to renovate the castle and solve the mysteries haunting Merry about the Wynter side of her family. The second book in the Merry Muffin series is Muffin but Murder. This one is my favorite in the series so far. Merry has invited potential buyers to her castle for a Halloween masquerade. An uninvited guest is brutally murdered, and since several other costumed and masked guests are actual crashers, how can Sheriff Grace even begin to investigate potential suspects of the crime? And you know that Merry will find the time to do some investigating on her own in between cooking muffins for the community and meals for her friends. I like the cast of characters, and there are many surprises in this mystery. Merry and the other quirky residents of Autumn Vale are so entertaining that I cannot wait for the next installment in this adorable cozy mystery series. An added bonus: recipes in the back of each book! The recipe below is not from one of her books, but Merry does like to bake healthy muffins for the more senior members of Autumn Vale. The series has made me crave my Oat Bran Muffins. I hope you'll try it! Although it's a basic recipe, you can make them more tasty with honey, molasses, jelly, jam, or curds. Pre-heat oven to 425 degrees F. Line 12 medium muffin cups with paper baking cups and spray with a nonstick spray. Beat egg, egg white, and buttermilk in a large bowl. Add dry ingredients and coconut oil and stir until moistened. Fill muffin cups 3/4 full. Bake 18 - 20 minutes or until golden brown. What have you been reading lately? 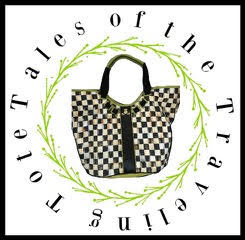 Link-up and share! I was laughing to myself as I read the sentence - "If folks wouldn't keep getting murdered, it would be pretty much perfect!" I thought to myself, "who lives in a place where people keep getting killed?" And then I thought about loving to watch Perry Mason with my parents. I thought murder was something just written for television. And then, there was a major love triangle murder in our town - it made national news. I was surprised when we moved to Ventura to discover that Erle Stanley Gardner had his law offices in an historical building downtown and he got inspiration for his Perry Mason books from the cases he saw come through his office. Fascinating! I was always a HUGE Perry Mason fan! I am reading WE ARE WATER by Wally Lamb. It is intriguing as his always quirky characters are. Check out my post today. Have you seen the new Molly Hatch paper goods. You are going to want them. You know we both have lots of dishes in the cupboard that like to come out to play, but these paper plates are FUN! You find the greatest books with recipes. How do you do it? See what you have done. All this talk of muffins now has me craving a blue berry muffin. My favorite. Hee, hee, hee. Oh by the way Ricki Jill, have I told you I love your blonde hair. Looks great! Happy new week. Culinary cozies are the best. This is another series I need to start!